link connecting the field computer to the Proxy-Server. Inpro has not indicated whether it intends to file an appeal. The High Court in London is scheduled to rule on the validity of the U.K. version of the same patent later this week. NTP case causes congressman to send letter of inquiry to USPTO Director - Rep. Tom Davis (R-Va.), who chairs the House Government Reform Committee, said the BlackBerry case exposed inefficiencies with how the Patent and Trademark Office operates and asked if changes are needed. On Friday, Davis wrote a letter to USPTO Director Jon Dudas, asking him "to provide . . . your assessment of the current patent examination and reexamination processes, what reforms are needed, and how current shortcomings impact bringing new technological developments to the marketplace." Armed with the benefit of hindsight, Davis claimed that had the PTO done a better job handling NTP's patents from the start, the threat of a BlackBerry injunction would be nonexistent. "If adequate resources were utilized to determine the initial validity of [NTP's] patents, this controversy could have been avoided," Davis wrote. "Additionally, if RIM's re-examination requests had been acted upon more expeditiously, the current uncertainty could have been resolved long before it threatened critical service to the government and consumers." It is doubtful that Director Dudas will provide the obvious answer back to Davis: "had hundreds of millions of dollars raised in USPTO fees not been diverted by the federal government, it is possible that the USPTO would already have the resources in place to address the very concerns you mention." Guess which company said this after receiving a newly-acquired patent from the USPTO? "BlackBerry knockoffs will now need a license from us . . . [t]he amateurs out there have to stop." Answer: RIM co-chief executive officer James Balsillie, in 2001 after suing U.S. rival Glenayre Electronics Inc. for patent infringement. In this excellent piece from the Globe and Mail, Barrie McKenna, Paul Waldie and Simon Avery provide a detailed "behind-the-scenes" account of the RIM/NTP litigation. It should make you think twice before indiscriminately throwing around the "patent troll" epithet every time a million-dollar success story meets a hard-luck inventor/patentee in court. QUESTIONS TO ASK THE USPTO AT THE TOWN HALL MEETING: As readers of this blog are aware, the USPTO is conducting a series of Town Hall Meetings to discuss proposed changes to patent practice. One of the most controversial proposals made by the USPTO was the requirement that applicants should not file more than one continuation, lest they want to be brought before the Commissioner to explain why amendments, arguments, or other evidence could not have been previously submitted. Q1: Will the USPTO's Balanced Disposal System be adjusted in light of these changes? To put it simply, the Balanced Disposal System is a work productivity metric for examiners at the USPTO where a completed examination of one application is considered a balanced disposal or BD. A BD consists of a New (N) count or point and a Disposal (D) count or point, where 1 BD = 1 N + 1 D. The disposal count is given to an examiner only when: (1) the application is allowed, (2) the application is abandoned, (3) the applicant files a request for continued examination, (RCE), or (4) the examiner files an examiner's answer to an appeal brief. Since RCE's would be used against applicants under the new proposal, there will be tremendous pressure on applicants to avoid filing an RCE, since this would substantially complicate any future options for filing a continuation. Accordingly, the appeal process will become a regular stop for applicants. Since the normal appeal process substantially delays a disposal count for the examiner, it is likely that BD productivity will drop for many examiners, which in turn will negatively affect their annual reviews. Furthermore, if the the appeal is successful for the applicant during the pre-appeal brief conference, the examiner has to start back from square one again (i.e., issue a new rejection/count). It appears then, that the proposed continuation practice may deter examiners from asserting rejections that are based off of subjective interpretation. Whether a plausible rejection is right or wrong, Examiners may become hesitant to bring such rejections forward, for fear that anything but the strongest of rejections would negatively affect their productivity. Accordingly, it is entirely possible that under the proposed changes, even more "bad" patents will result, and the examination process will become less flexible for everyone. Q2: How will the BPAI prepare for the inevitable onslaught of appeals? One of the points made by the USPTO is that the Board of Patent Appeals and Interferences (BPAI) has drastically reduced its backlog to the point that the time-saving benefits of filing an RCE, as opposed to filing an appeal, have been minimized. However, this apparently presumes that the current rate of appeal will remain constant should the proposal be implemented. With all due respect, this is wishful thinking. Suppose the backlog balloons back to a 3-year pendency at the BPAI (circa 1997)? What are we to do then? What about the Office of Petitions? Incidentally, the BPAI's docket includes review of continuation applications as well - how were they able to reduce their backlog when the examining corps wasn't? [The proposed changes] require that applicants who file multiple continuing applications from the same initial application show that the third and following applications in the chain are necessary to advance prosecution. In particular, the proposed rules require that any second or subsequent continuing application show to the satisfaction of the Director that the amendment, argument, or evidence could not have been submitted during the prosecution of the initial application or the first continuing application. "Necessary to advance prosecution?" For whom? What will give the Director's Office the "satisfaction" they are looking for? In effect, the Office is applying an abbreviated form of laches that is not entirely helpful or appropriate for the USPTO to consider. The Office starts from the truism that applicants don't have the right to file unlimited number of continuations, and then statistically contorts itself into the conclusion that one continuation should be enough for everyone. Even the Federal Circuit acknowledged that using continuation practice to cover infringing products is a valid practice, so long as it is supported by section 112(1) (PIN/NTP, Inc. v. Platt Chemical Co., 304 F.3d 1235 (Fed. Cir. 2002)). However, the USPTO apparently disagrees, stating that "the practice of maintaining continuing applications for the purpose of adding claims after such discoveries is not calculated to advance prosecution before the Office." Maybe so, but there is nothing improper or inequitable about it either. Q4: When will the USPTO be raising fees on continuations? Okay, maybe this isn't the right question to ask at the meeting, but the USPTO fee schedule stands in relation patent practice the same way the "commerce clause" stands in relation to Congressional legislative power. If the USPTO wants to curb or regulate a particular practice, they simply raise the fees to a point where it becomes impractical to engage in that practice. Back in 1998, the USPTO re-started its campaign to reduce the number of claims contained in a single application (oddly enough, at that time, continuations were encouraged as a means to more fully claim the scope of the invention - see here, item (4)). After years of resistance from the patent bar, the USPTO went ahead anyways and raised fees on claims exceeding 3 independent claims and 20 claims total. I wouldn't be surprised if, by the end of the year, the USPTO issues a new fee schedule that doubles and triples the fees on continuations. 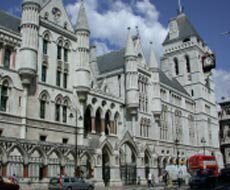 - There are also other issues, such as inequitable conduct and prosecution history estoppel, that should worry practitioners. But, alas, that is for another time. In a non-precedential opinion, the court reviewed the S.D. California's granting summary judgment of non-infringement in favor of Think Outside. The issue in this case was the claim limitation of "a pair of lever arms joined at intermediate portions thereof by a pivot to form a scissors-like linkage." Minebea argued that "pivot" included a sliding motion - Think Outside argued that it did not. The term "pivot" in claim 1 was construed by the lower court to mean "a structure about which something turns or rotates that is fixed relative to the two arms." To arrive at its construction of the term "pivot," the court consulted various dictionaries, none of which, according to the court, expressly defined "pivot" as allowing for sliding motion. On the other hand, nothing in the dictionary definition excluded a sliding motion either. Turning to the written description of the patent, the court determined that a sliding motion was not within the scope of the claimed term. In Phillips v. AWH Corp., 415 F.3d 1303, 1317 (Fed. Cir. 2005), we noted that it is "entirely appropriate for a court, when conducting claim construction, to rely heavily on the written description for guidance as to the meaning of the claims." Although the dictionary definition of the term "pivot" does not appear to exclude sliding motion, the district court properly determined that the written description limits the scope of the claim term "pivot" to a structure that is fixed in position relative to the lever arms, and thus excludes sliding motion . . . Because the linkage in a pair of scissors is fixed in position relative to the scissors, it necessarily follows that the central pivot of the written description must also be in a fixed position, as the district court’s claim construction requires. In Phillips, we also stated that "[q]uite apart from the written description and the prosecution history, the claims themselves provide substantial guidance as to the meaning of particular claim terms." . . . 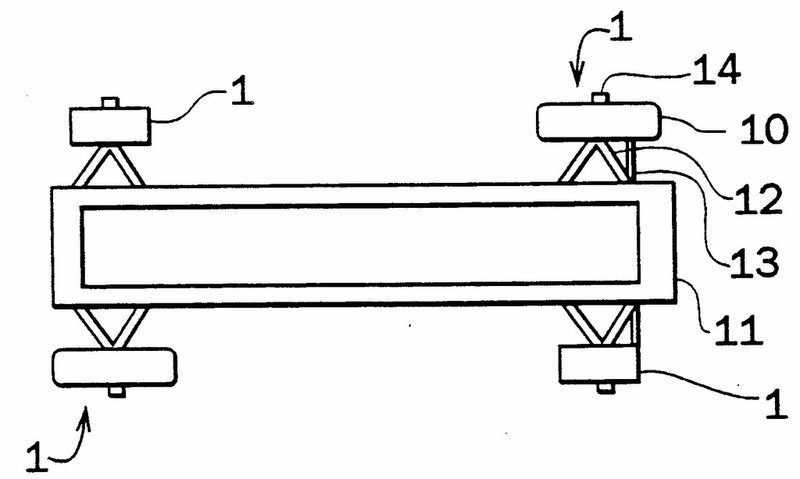 There is no question in this patent that sliding and pivoting are different motions. Indeed, claim 1 provides that certain structures will "slide in addition to pivot." Such language would be superfluous if sliding motion were subsumed in pivoting motion. Energizer filed a complaint with the ITC in April 2003, charging that about two dozen companies were infringing on US Patent 5,464,709, which disclosed a mercury-free electrolytic alkaline battery cell. The company sought an ITC order that would bar the infringing batteries from being imported into the United States. 1. An electrochemical cell comprising an alkaline electrolyte, a cathode comprising manganese dioxide as an active cathode component, and an anode gel comprised of zinc as the active anode component, wherein the cell contains less than 50 parts of mercury per million parts by weight of the cell and said zinc anode has a gel expansion of less than 25% after being discharged for 161 minutes to 15% depth of discharge at 2.88A. The Commission held the claim invalid because "said zinc anode" did not have an antecedent basis, because the term "zinc anode" does not appear in the claim prior to the term "said zinc anode." Accordingly, the court invalidated the claim under 35 U.S.C. §112 ¶2, which requires that the patent specification shall "conclude with one or more claims particularly pointing out and distinctly claiming the subject matter which the applicant regards as his invention." The Commission added that even if "said zinc anode" is construed to have as antecedent the "anode gel comprised of zinc as the active anode component" recited earlier in the claim, the claim would still be indefinite because it requires that the anode of every cell be "discharged for 161 minutes to 15% depth of discharge at 2.88A." The Commission reasoned that since it appears that these discharge parameters are intended to apply only to a test cell, and not that every cell must be discharged, this unclear and ambiguous claim drafting renders the claim "indefinite as a matter of law." The Commission also held that the submission of alternative constructions of "said zinc anode" was an admission of indefiniteness. The Federal Circuit disagreed, stating that, even in light of a lack of antecedent basis, if the scope of a claim would be reasonably ascertainable by those skilled in the art, then the claim would not be indefinite. Furthermore, an antecedent basis can be present by implication. Addressing the issue of alternate construction, the Federal Circuit held that the Commission erred in holding that the need to construe a claim, or the proffer of alternative constructions, renders the claim indefinite. A claim that is amenable to construction is not invalid on the ground of indefiniteness. Relying on Exxon Research & Eng'g Co. v United States, the court repeated that "if the meaning of the claim is discernible, even though the task may be formidable and the conclusion may be one over which reasonable persons will disagree, we have held the claim sufficiently clear to avoid invalidity on indefiniteness grounds." The case was reversed and remanded to the ITC. 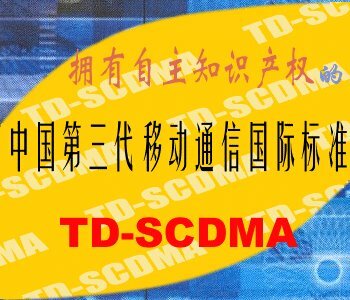 CHINA LAUNCHES TD-SCDMA TELECOM STANDARD: In what has been a growing trend in China, standardized technologies that enjoy strong patent protection outside of China are being shunned by the Chinese government in favor of domestically-developed systems. The idea behind this policy is to avoid paying royalties to foreign patentees, and hopefully use China's market power to force the outside world to adapt to their home-grown technology. One such example is Enhanced Versatile Disc (EVD) technology, which is China's effort to undercut the global DVD market. Since about 20-30% of DVD player costs coming from China are due to licensing fees, implementing the EVD standard was seen as an "end-around" that would propel Chinese DVD makers to the forefront. To date, adoption of EVD has been unsuccessful. Another example is Time Division Synchronous Code Division Multiple Access (TD-SCDMA) technology which is China's answer to the 3G telecom standard. Currently, patents held by Qualcomm and Europe's 3G Consortium prevent Chinese companies from using this technology without royalty payments. Again, China has been developing the TD-SCDMA standard to give the advantage to local vendors in the rollout of 3G and avoid paying royalties to foreign companies that hold the patents for other 3G technologies. The Chinese government recently announced that ii is ready to launch a nationwide network that will run the home-grown 3G standard, and is preparing to issue licenses to "competent" operators to run the standalone network. China has been postponing licenses in order to give the standard time to mature, but it’s running out of time, since the country has promised to get the TD-SCDMA networks up and running to show off at the 2008 Olympics. The Federal Circuit reviewed US Surgical's appeal from the decision of the Central District of California granting judgment of willful infringment of U.S. Patent 5,385,553. The invention relates to surgical devices called trocars, which are used as access ports into the abdomen during laparoscopic surgery. [T]here is no legal or factual basis for viewing the separate infringements caused by sales of Versaport I and Versaport II as the same infringement. U.S. Surgical has asserted that Versaport II is a different product from the Versaport I trocar . . . U.S. Surgical has also agreed that Versaport II involved different infringement issues than Versaport I because the seals were different . . . Having conceded that Versaport I and Versaport II were different infringements, U.S. Surgical’s attempt to conflate the two products for purposes of damages fails. Because the determination of reasonable royalty damages is tied to the infringement being redressed, a separate infringement beginning at a different time requires a separate evaluation of reasonable royalty damages. To argue otherwise, U.S. Surgical would have to concede that it has willfully violated the permanent injunction in Applied I. 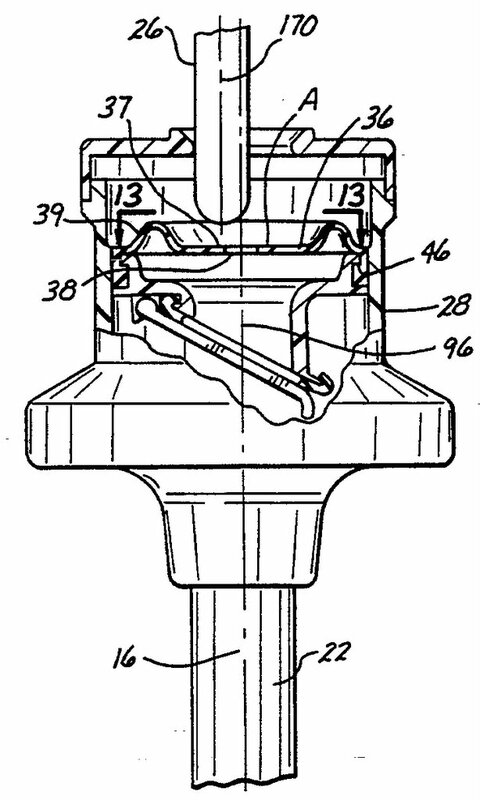 Applied responds that U.S. Surgical does not rebut the evidence cited by the court as supporting the jury’s verdict of willful infringement, which showed that U.S. Surgical (1) desperately needed a trocar with a floating seal to satisfy its customer demands, (2) began its redesign efforts only in response to the threat of an injunction in Applied I, (3) did not give its engineers sufficient time to avoid an infringing design, (4) did not rely upon any opinions of counsel in good faith, and (5) continued selling its infringing trocars for eight months after the ruling of infringement. [T]he first letter was simply “ship[ped] off in the mail,” the second letter did not address infringement of the claims of the ’553 patent and was limited to the issue of contempt, and the third letter arrived after U.S. Surgical began selling Versaport II. Based on this evidence, a jury could have reasonably concluded that U.S. Surgical paid little if any attention to the opinion letters. *HOT OFF THE PRESS* - REEXAMINATION REQUESTS GRANTED ON DATATREASURY PATENTS: DataTreasury has been burning through the banking and check-processing industries (see post below) with multiple claims of infringement on US patents 5,910,988 and 6,032,137. Today the 271 Blog has learned that the USPTO granted reexamination requests to both patents on January 6. First Data Corporation filed 3-rd party requests back in November of last year, arguing that certain prior art invalidates both patents. The USPTO agreed that the cited art warranted a second look. I haven't had the opportunity to look at the requests in-depth, but will provide you with the details in due course. To view USPTO documents relating to the reexamination requests on the '988 patent, click here. To view USPTO documents relating to the reexamination requests on the '137 patent, click here. BUSINESS METHODS IN THE COURTS: Back in 2001, business method patents in the U.S. peaked at 8,700. According to The Wall Street Transcript, business method applications averaged over 6,000 each year since then. Most of these applications are being filed by financial services companies and cover practices revolving around smart card technologies, brokerage systems, trading systems, sales and marketing systems, and bill payment systems. However, many of these patents still haven't issued and have not yet been challenged in court. US Patent No. 6,658,432 - Method and system for providing business intelligence web content with reduced client-side processing. 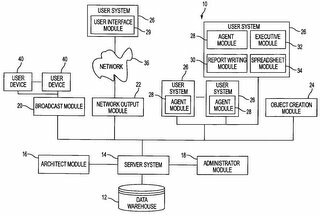 The patents generally cover technology related to decision support systems known as an on-line analytical processing system ("OLAP"). 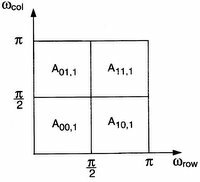 OLAP systems are designed to analyze data from a number of different perspectives and support complex analyses against large input data sets. The patents also cover refinements on "decision support system'' software which, for example, allow a user to keep working while sorting a database to generate a sales report. Yesterday it was announced that District Judge Kent Jordan in Delaware ruled on Summary Judgment that two of the patents were invalid because products that practice the patented technology were in public use before patent applications were filed. Regarding the third patent, the judge also ruled that Business Objects didn't infringe because certain features recited in the patent were not found in product offered by Business Objects. It is important to note that the process of invalidating business method patents will often include a thorough vetting of actual products that were available prior to the filing of a specific patent. 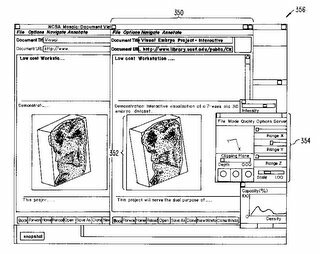 Since there are few patents that issued between 1998-2002, it is typically more difficult to get a clear understanding of the prior art simply by using patent searches. Similarly, technical publications are also hard to come by in this time period - this is why product knowledge can be crucial in defending a patent infringement lawsuit. In a second case, LendingTree, LLC was found by the U.S. District Court of Delaware to have willfully infringed U.S. Patent No. 5,995,947, issued to IMX, Inc. IMX was awarded $5,794,400 in damages and the company anticipates that the Court will issue an injunction to stop LendingTree's infringement. The patent provides an Internet-accessible, interactive, real-time network whereby borrowers and lenders exchange information in the pursuit of securing a loan. Two interesting things about the IMX patent. First, the '947 patent, which clearly recites a business method, was filed on September 12, 1997 - State Street v. Signature Financial Group wasn't decided until July 23, 1998. So much for business methods being "illegal" (as the FFII likes to say) prior to State Street. 1. A method for processing loan applications, said method including the steps of maintaining a database of pending loan applications and their statuses at a database server, wherein each party to a loan can search and modify that database consistent with their role in the transaction by requests to said server from a client device identified with their role. I have a feeling that we haven't heard the last of IMX . . .
As a side-note, DataTreasury continues to rumble through the check-processing industry. Yesterday, NCR Corporation settled pending litigation regarding DataTreasury's "check 21" patents by cross-licensing certain patents from NCR's portfolio, and paying an undisclosed amount of money. This follows settlements DataTreasury has already obtained with JPMorgan Chase, Bank One, Groupe Ingenico, NetDeposit, Inc., and RDM Corporation, companies that now license DataTreasury's patents. DataTreasury's pending infringement lawsuits include actions against Citibank, Bank of America, Wells Fargo and Wachovia. SUPREME COURT DENIES RIM REHEARING: The Supreme Court has denied RIM's petition for certiorari and sent the case back to the district court. Over the next few weeks, the district court judge will be hearing arguments regarding the scope of any potential injunctions, and will readdress the scope of damages. As such, the Federal Circuit's decision will stand. In the decision, the Federal Circuit held, among other things, that patents related to systems may be infringed, even though parts of the system are located outside the territory of the United States. The question of whether pure "method" claims can be infringed under the same circumstances is still a question mark, and may be dealt with in the near future by the Federal Circuit (which recently punted on this issue in an en banc hearing). BIOTECH JOINS OPPOSITION AGAINST PROPOSED CHANGES TO CONTINUATION PRACTICE: At the beginning of the year, the USPTO announced that significant changes were being proposed to US patent practice, where one of the proposed changes was aimed at curtailing the number of continuations that could be filed from a disclosure. The response from the patent community was befuddled outrage. The USPTO has no overt authority to limit continuations, yet it is requiring applicants to explain why amendments, arguments, or evidence could not have been previously submitted? Aside from the fact that such a requirement injects subjective elements to an apparently objective process, this heavy-handed approach unduly restricts a valuable procedure for practitioners. For electronics and software companies, the use of continuations is practically a necessity - the pace of development in the industry, coupled with the fact that most applications will wait 2-3 years before receiving a first office action from the USPTO, forces applicants to supplement original filings to fully cover the intended scope. Contrary to the USPTO's position, there is often no "fault" to be attributed to applicants for not contemplating every anticipated technological variation and changes in market conditions. Of course, most applications will have broad ranges of disclosure to handle the technical side of things, but even this is not perfect in every case. And applications that are originally filed on "secondary" technologies can quickly transform into "blockbuster" status (and vice-versa). The patent process should remain flexible enough to accomodate such developments without any undue hardships upon the applicant. For biotech companies, the same concerns apply, albeit with a twist. In any case, biotech companies are also complaining that the proposed continuation rules are the wrong approach. In this industry, product development timelines can reach 10 to 15 years and can cost upwards of $500 million. Accordingly, continuing applications are needed to protect technologies that can take more than a decade to bring to market. The biotech patent process not only covers product itself but also the process to make the product. As the 12- to 15- year cycle continues, different matters about the product, process and its ultimate application are learned. All of this would require applicants to revisit applications and provide updates on any new developments. According to Todd Gillenwater, vice president of public policy at the California Healthcare Institute, a life sciences trade group in La Jolla,"If you restrict continuing applications, it will force the industry to file overly broad patents to catch everything." PEERING INTO THE MIND OF RAMBUS: Rambus announced today that earnings were up at the company, as a result of debt reduction and the rise in royalty payments on its patents. Revenue from patent royalties rose 6.5 percent to $34.7 million while revenue from new contracts rose 14.3 percent to $6.9. Rambus recently recovered from an earlier lawsuit against Infineon, where the court dismissed Rambus's patent claims in a bench statement that concluded that Rambus engaged in spoilation of documents to such an extent that dismissal of the case was warranted. What turned out to be a rather shrewd move, Infineon and Rambus settled the case before the judge issued a written opinion. Since the case was settled under these circumstances, Infineon received a favorable settlement, and Rambus was allowed to continue litigating on the patents (against Infineon's competitors), since a "final judgment" was never issued in the case. This move was ultimately validated by the court in the N.D. California, where it was held that Rambus, who continues to litigate against chip-maker Hynix, was not collaterally estopped from the earlier spoilage issue. In the meantime, Rambus renewed a long-running lawsuit against Micron. with the intent to prevent production in a lawsuit such as the one initiated by Hynix. The evidence here does not show that Rambus destroyed specific, material documents prejudicial to Hynix's ability to defend against Rambus's patent claims. Therefore, Hynix's unclean hands defense fails. This particular ruling is interesting because the court essentially reviewed much of correspondence among Rambus personnel and attorneys that were involved in their enforcement strategies. In fact, the court provides a chronological run-down of Rambus' technology and licensing strategies from 1990-2005. For anyone that wants to take a peek behind the curtain of a holding company's mindset during an enforcement push, this case provides some valuable insight. In an upcoming series of Town Hall Meetings, the United States Patent and Trademark Office (USPTO) will provide background information regarding proposed new rule changes. The first Town Hall Meeting will be held February 1, 2006, in Chicago. The USPTO and Northwestern University will co-sponsor the event at the downtown campus of Northwestern University in the Arthur Rubloff Building, Thorne Auditorium. The meeting will be held from 2:00 p.m. - 4:00 p.m. The proposed rule changes relate to the examination of claims, continuing applications, requests for continued examination and applications containing patentably indistinct claims. The changes will make the patent examination process more effective and efficient by reducing the amount of rework by the USPTO and the time it takes for the patent review process. In addition they will improve the quality of issued patents and ensure that the USPTO continues to promote innovation. Commissioner for Patents John Doll and James Toupin, the agency's general counsel, will provide an overview of the challenges the USPTO faces and the reasons why the proposed new rules are necessary. A question and answer session will follow immediately after their presentations. Registration is free and CLE credit may be available. The Town Hall Meetings are for patent attorneys, patent agents, independent inventors and members of the small business community. For registration information, please click here or call 571-272-8850. REPORT: JUDGE ALITO IS A "BLANK SLATE" IN TERMS OF IP: Physorg.com is reporting that, afer reviewing more than 200 cases that Alito has been involved in as an appeals-court judge, Judge Alito handled just one major copyright case during his tenure (Southco vs. Kanebridge Corp.) and has heard no cases involving patents. In the copyright case, the question presented was whether a numbering system for screws and fasteners could be copyrighted. Alito decided that there was not enough creativity in the creation of the list to warrant a copyright. It is no surprise that Judge Alito had virtually no exposure to patent law - as of 1982, all appeals in patent cases are directed to the Federal Circuit. Since IP doesn't generate much press, it remains a mystery how Alito would rule on a case like the controversy involving Grokster. IP attorney Johnathan Osha conducted the review and concluded that, as a general matter, Alito "seems to give a modicum of respect for the rulings of lower courts." In contract cases, Alito takes a pro-business stance, generally holding parties to a contract to the terms of their contract. Overall, it was concluded by one commentator that Alito is an "old-fashioned kind of guy." ANTI-SOFTWARE PATENT ACTIVISM INFECTS THE UK COURT OF APPEALS: It is being reported today that Sir Robin Jacob, a judge at the U.K.'s Court of Appeal who specializes in intellectual-property law, spoke about issues surrounding software patents at a seminar for the Society for Computers and Law on Thursday evening in London. - "Do we need patents for computer programs? Where is the evidence for it?" - "[People have] got to look at all IP rights critically and say, 'Do we need them?'" - "It's been said that (searching for prior art) is all going to be sorted out and will be very easy in due course--I don't believe it . . . and some of the fuzzy patents that have emerged from the United States tell you that it's going to be very difficult to stop very ordinary things from being patented." I realize that the article only cites selected portions of Lord Jacob's comments, but this is pretty outrageous stuff. It is intellectually lazy, and his comments do nothing for progressing the ongoing discourse on patent policy (Lord Justice Jacob was reportedly "glad" that he hasn't had to consider any software patent cases in the appeal courts yet). Regarding the "evidence" he demands from software patentees, the European Commission has funded a study on the legal, technical and economic effects of software patents on innovation, but the study is not due to be finished until 2007. However, there are preliminary studies that have been conducted in the US that show that software patents are important, especially to smaller companies. One study, conducted by Ronald J. Mann from the University of Texas School of law, supports this notion, and further rejects the idea of "patent thickets" being the bane of software innovation. Regardless, there is no econometric or bibliometric data in existence today that shows that software patents are impeding the advance of software. Also, it is disturbing to me that a sitting appellate judge all-but-admits that he can't be bothered to look into the putative benefits of software patents and instead engages in some haughty analysis why patent law shouldn't accept new technologies into its domain (if one still considers software a "new" technology). His views are not tempered by any legal findings or analysis, but seem grounded in the metaphysical concept that computer programming is not "science." Finally, it was inevitable, as it is with most anti-patent proclamations, that Lord Jacob erroneously applied concepts of obviousness (i.e., "very ordinary things") as a basis for determining patentable subject matter. It cannot be stressed strongly enough that "obviousness" is a legal concept that is completely independent of "patentable subject matter." An application that is found obvious won't issue as a patent because someone else has already disclosed the invention prior to the applicant. An application that is not deemed patentable subject matter won't issue as a patent because no one has the right to claim such an invention. It has been the repeated practice of anti-patent commentators to simply cite examples of flaky patents and extrapolate the conclusion that patents, as a whole, should be banned. This is nonsense squared. 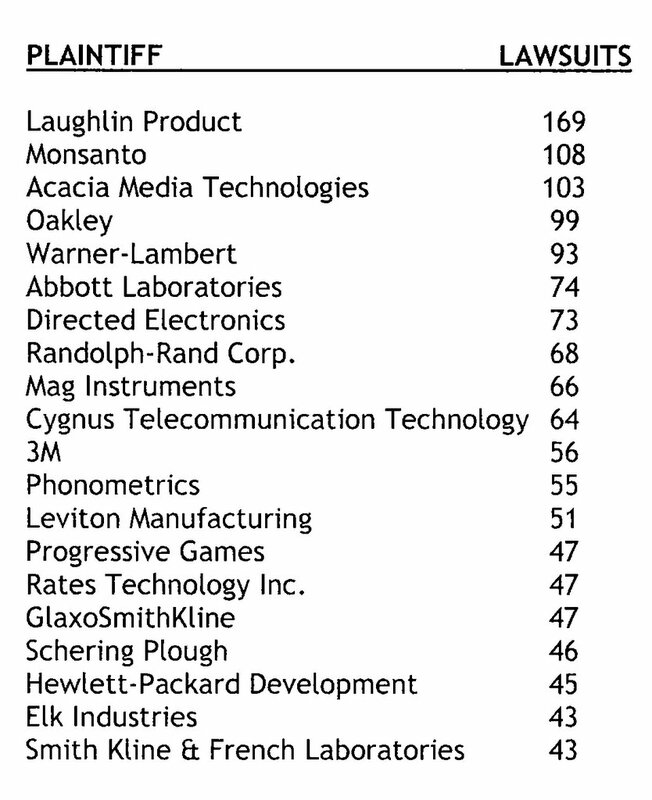 As Nathan Myhrvold succinctly said, "the stock market has stocks of companies that are flaky and questionable, right? But does that mean we should just avoid all public security markets?" FROM BLACKBERRIES TO HYBRID VEHICLES - THE NEXT PATENT CONTROVERSY: Back in September, Solomon Technologies, Inc. announced that they were suing Toyota Motor Corporation in federal district court in Tampa, Florida for infringement of Solomon's Electric Wheel patent. Solomon alleges that the hybrid transmission drive in the Toyota Prius and Highlander infringes a number of claims contained in its U.S. Patent No. 5,067,932. In the lawsuit Solomon is asking for an injunction barring further infringement as well as damages for the unauthorized use of its patent by Toyota. This case is interesting for a number of reasons. First of all, the lawsuit will certainly generate a "buzz" in the press, as the patent is being asserted against a popular, high-profile product (hybrid vehicles). Second, the case appears to be a classic David-vs.-Goliath battle (Solomon's total capitalization in 2004 was $978,487). Furthermore, unlike NTP, Solomon has developed and commercialized an electric drive motor known as the "Electric Wheel." According to Solomon, the hybrid motor is used primarily in marine applications and also on land-based vehicles (it was even used in NASA's Sojourner Mars rover). It will be interesting to see how the case will affect the views of commentators on patent law - while it has always been convenient to dismiss "trolls" during patent litigation, the usual sniping over a "broken patent system" doesn't seem to apply here. Finally, as this blog has reported before, Solomon is taking part in the growing trend of using legal financing companies to fund their lawsuit. Enforcing patents is a very expensive process, and smaller companies are often not financially capable to take an infringement action to trial. Aside from using contingency-fee arrangements with lawyers, most companies have few options in asserting their patent rights. If the litigation presses forward (which is statistically unlikely), it could very well become a watershed case for legal financing companies and the smaller clients they service. EU RE-STARTS PUSH FOR PATENT REFORM: After last year's failed attempt at creating an "EU Patent," legislators in the European Union are re-starting efforts to reform the EU patent regime. Currently, many EU technology companies are complaining that the absence of a functioning EU-wide patent regime is hampering cost-effective patenting. According to a recent study commissioned by Brussels, the average cost of registering patents across the EU typically varies between €37,500 and €57,000 (roughly $45,500-$69,000 US). In contrast, the average cost of registering a US patent is about €10,000 ($12,000 US). This significant difference in filing costs is often cited by Brussels officials as part of the explanation for the EU's failure to improve levels of innovation. One reason the original proposal failed was the inability of members to agree on a standard language for use in patent filing. One of the significat costs of EU patenting involves translating the necessary documents into numerous languages. However, the primary reason that reform failed was the percieved notion that "US-style" software patents would become part of EU practice. Currently, each member state has different requirements for allowing software patents - some countries are more permissive, while others are more restrictive. The EU Patent Office currently allows software patents, as long as they provide some "technical effect." As you can guess, this has lead to inconsistent results for applicants seeking protection on software technologies, where patent applications are allowed in some countries, and prohibited in others. The unfortunate result of this is that applicants typically expend thousands of dollars before determining whether or not their applications provide ample "technical effect" to satisfy the whims of a particular examiner. Predictably, anti-software groups continue to oppose most reforms, claiming that mayhem and chaos will result if any form of software patenting is allowed to stand. If the proposals move forward, you can expect a replay of last spring's demagoguery from the "no software patents" crowd, and it remains to be seen if the pro-software factions will counter in kind. Charlie McGreevy, who is the European Union Commissioner for Internal Market and Services is inviting individuals and commercial enterprises to participate in an "Internet consultation" that will run until March 31, 2006. The results of the internet debate are set to be the basis for a hearing on the issue scheduled for June 13. To provide your comments, click here. Published by Severin de Wit who is a member in the IP practice group of Simmons & Simmons' Rotterdam office. Severin is a member of the editorial board of the Dutch intellectual property magazine "IER" (Intellectuele Eigendom & Reclamerecht), and is also a teacher at the Grotius Academy and a member of the Special Advisory Committee on Intellectual Property matters for The Netherlands Bar Association. He was previously a part-time judge in the District Court of The Hague (intellectual property Chamber). In a recent post, Severin makes an interesting distinction between "patent ambushing" (where a company withholds patent information during a standardization process) and "patent trolls" (who obtain patents for the exclusive purpose of suing others). Published by Benjamin Tramm, who is a third-year law student working at a Minneapolis-area law firm. The blog covers many areas of patent prosecution and practice. 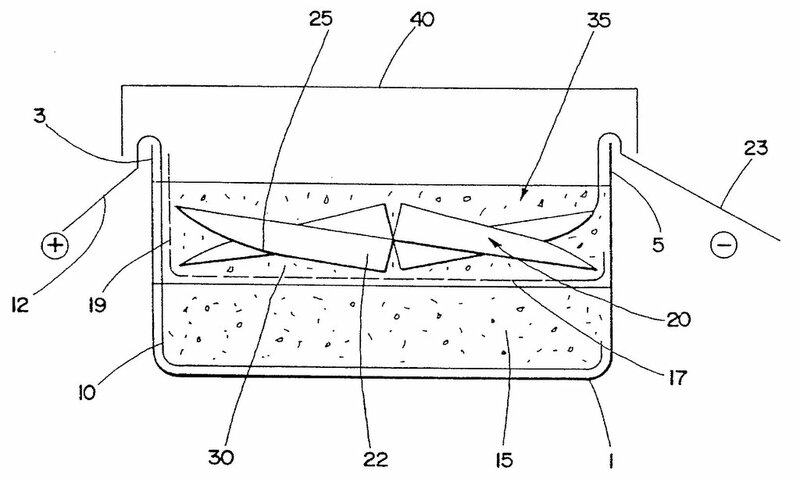 One interesting post by Benjamin covers the stock ending paragraph in patent applications that reminds the reader that the scope of patent protection is not strictly limited to the exact embodiments described in the application. Apparently, the EU doesn't recognize phrases that refer to the "spirit and scope of the invention." As such, Benjamin recommends that such language be modified. Published anonymously, the blog covers a wide range of IP and business issues concerning China. Currently on vacation, the IP Dragon will be resuming posts on January 16. (1) Application overload - under the "patent alert" provision, registered individuals will receive applications meeting a certain criteria (e.g. applications from Microsoft, applications relating to CDMA, etc.). Now, unless you are well-versed in USPTO classification and search methodologies, your in-box or RSS feed can contain dozens of new applications every day. And unless you already know what you are looking for (which would be next to impossible in most cases), you would have to devote at least a few hours every day just to find out what it is you're looking at. For each identified application that is "of interest," an additional number of hours (days?) would be needed to further vet the application and conduct your own search. It's apparent that this arrangement will quickly overwhelm any individual or organization seeking to be an active participant in this program. (2) Information quality provided to the USPTO - examiners have limited time to review a patent application. With all the resources available to examiners (and there are a lot of them), when additional information is foisted upon the examiner, the less time the examiner will have to interpret and apply the prior art. Search templates have recently been introduced by the USPTO to streamline and structure the search process. By injecting the general public into the search process the entire purpose of these templates becomes frustrated. And, with all due respect, there are lots of people (i.e., the Slashdot crowd) that simply don't understand the patent process and have no concept of anticipation and obviousness. If particular applications attract the ire of such people, lots of examiner time would be wasted and severe delays would inevitably result. (3) Examiners don't rely non-patent literature anyways - back in 1994, IBM spearheaded the Software Patent Institute (SPI), which is the progenitor of the current prior art proposal, and was designed to "provide courses and prior art about software technology to help improve the patent process." It has been, in effect, a failure, as no one in the USPTO found the SPI to be particularly useful. Furthermore, the USPTO already has over 4 million computer abstracts available to examiners for use during examination. However, as the illustrious Greg Aharonian pointed out, the average number of non-patent references cited in issued software patents is less than two - in 2004, 57% of software patent applications do not cite any non-patent prior art. 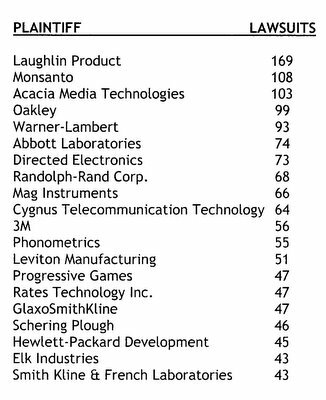 (4) The "Patent Quality Index" is practically meaningless - for years, individuals and companies have been trying to establish an objective "quality" rating for patents (see here, here, and here; see also US Patent 6,556,992), but there are questions as to how accurate these ratings are. 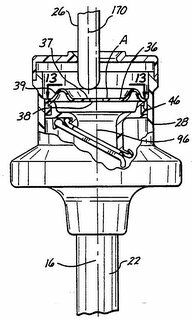 The actual quality of a patent isn't really tested until it has at least gone through a Markman hearing during litigation. Furthermore, companies are more interested in the potential value of a patent more than they are interested in some third-party's assessment of the patent's "quality." And I am not aware of any metric contained in the quality ratings that take into account the ever-changing positions of the Federal Circuit - what may seem to be a good practice at one time (i.e. objects of the invention, using "the present invention" language, means-plus-function claims) can suddenly change into something different at another time. While these "quality" ratings may provide some useful information, it is doubtful that anyone will treat this more than a whimsical tool. 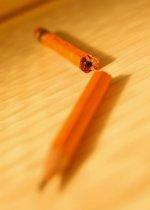 UPDATE: The Just a Patent Examiner blog has an "inside" perspective on these proposals. GETTING THE OTHER SIDE TO PAY YOUR ATTORNEY FEES: When patent holders sue companies, there is the inevitable charge by the defendant that the lawsuit is "baseless." When certain cases make the headlines, the chattering masses immediately start making allegations of "harassment" or "extortion" upon the patentee. In some cases it's true. In most cases it's not. But when you can show that a case is "exceptional," you can force the patent holder to pay a portion or all of your attorney fees for defending the lawsuit. 35 U.S.C. Â§ 285 provides that a court may award attorney fees to the requesting party only in "exceptional cases." To get fees, the prevailing party must first establish the exceptional nature of the case by clear and convincing evidence. Second, the court must determine whether attorney fees are appropriate. This decision is within the discretion of the trial judge. Exceptional cases against a patent plaintiff include inequitable conduct before the USPTO; litigation misconduct; vexatious, unjustified, and otherwise bad faith litigation; or a frivolous suit. Patent plaintiffs enjoy a presumption that they assert infringement of a duly granted patent in good faith. The burden is on the defendant to provide affirmative evidence of bad faith. A frivolous infringement suit is one which the patentee knew or, on reasonable investigation, should have known, was baseless. Where a patentee is manifestly unreasonable in assessing infringement in court, the court can infer bad faith (wrongful intent, recklessness, gross negligence). While many think that all holding companies file frivolous lawsuits, you often need more than neglect to get your fees back. A party's success on the merits of an ultimate issue in a patent case does not automatically render a case "exceptional" for purposes of the attorney fee statute. patentee failed to perform tests suggested by the alleged infringer, and its own tests did not establish infringement, and its own expert performed no tests concluding infringement had taken place. where the plaintiff hired an expert and secured an opinion before trial, and had the expert testify at trial, but negligently followed up on developing evidence. USPTO TEAMS WITH OPEN-SOURCE TO IMPROVE QUALITY OF SOFTWARE PATENTS: Last month, the USPTO met with companies and organizations in the open-source (OS) software community, including I.B.M., Red Hat, Novell and some universities. During the meeting, one of the biggest concerns communicated to the USPTO was the inability of patent examiners to access better information and prior art in the ongoing effort to issue higher-quality patents. (1) Patent Alerts - under the proposal, a new Open Patent Review subscription service will be implemented to allow interested members of the public to subscribe to alerts on relevant new patent applications via email or RSS feed. Created by IBM for the USPTO, the goal is to alert interested parties who might be able to demonstrate prior art. Google also participated in this effort and indicated that its search technology may be used in the project. (2) "Tagging" OS Software for Prior Art Searching - IBM is also working with the Open Source Development Laboratory (OSDL) to create a streamlined prior art search within open source software. Tags will be provided within the actual software to enable developers to add comments to their code. The tags will be similar to integrated development environment tools already used by programmers. Red Hat, Novell, and SourceForge are also helping to develop a searchable mark-up system. (3) Patent Quality Index - The third initiative is focused on the creation of a "patent quality index" that would serve as a tool for patent applicants to use in writing their applications. It is based on work done by R. Polk Wagner, who is currently a professor of IP at the University of Pennsylvania. While details of the index have not been released, it is believed that the index will rely on criteria such as how clearly the application is written and references to prior art. The system would not be meant to evaluate the economic potential of patent ideas, but instead provide a baseline for determining whether a patent application merits more or less serious consideration. Gideon Parchomovsky & R. Polk Wagner, Patent Portfolios, University of Pennsylvania Law Review, vol. 154, no.1 (November 2005). SeaChange appealed a district court's denial of a JMOL and request for new trial. In the lower court proceeding, SeaChange was found guilty of willful infringement of nCube's patent (US Patent 5,805,804), and was ordered to pay double the actual damages and 2/3 of nCube's attorney fees. 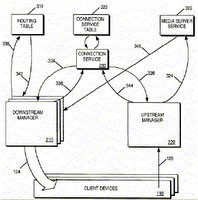 The '804 patent claims a "Method and Apparatus for Scalable, High Bandwidth Storage Retrieval and Transportation of Multimedia Data on a Network," where multimedia data is provided to clients flexibly connected to various multimedia sources over a network. SeaChange argued that the district court should have interpreted the feature "upstream manager" to encompass all messages routed from clients bound for a server using logical addresses, because the sole embodiment in the specification describes the communication this way, and explicitly states that "all routing is accomplished based on logical addresses, not physical addresses." The majority decision rejected these arguments, pointing to the portion of the specification which said "[i]t may be the case that some server process, under the direction of an external network control node, actually establishes contact with the client." While no more detail was provided in the specification, the Federal Circuit held that is was sufficient to show that other points of communication (not just those from the upstream manager) were covered in the claims. With regard to logical addresses, the Federal Circuit engaged in a bit of claim differentiation, stating that the recitation of a "logical address" appeared in a dependent claim. Thus, importing this limitation into the term "upstream manager" would effectively render the dependent claim redundant. Ultimately, the court stated that the claim term "upstream manager" is not "so amorphous that one of skill in the art can only reconcile the claim language with the inventor's disclosure by recourse to the specification." Nowhere does the '804 patent disclose or suggest that the upstream manager routes messages from a client using physical, as opposed to logical addresses. Indeed, if the upstream manager could not route messages from the client using logical addresses, then the purpose of the invention--to substitute logical for physical addresses--would be defeated . . . The patentee here offered no expert testimony suggesting that those skilled in the art would not read the patent to include a device using logical addresses. Although the majority appears to recognize that there is no reference in the specification to the use of physical addresses, the majority suggests that the specification's explicit statement that "all routing is accomplished based on logical addresses, not physical addresses" applies only to the preferred embodiment. Here, the patentee clearly demonstrated that the upstream manager accomplishes routing by logical addressing. 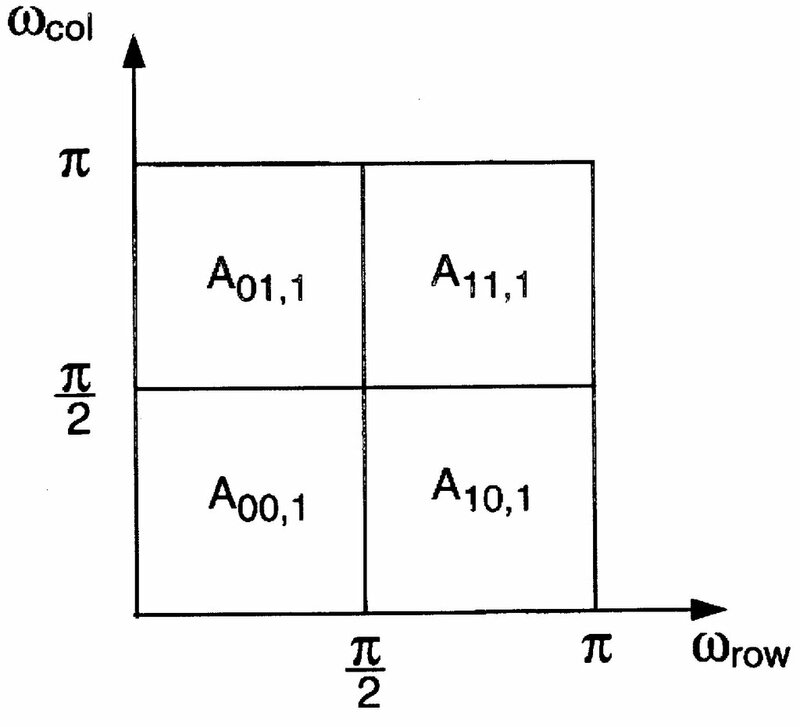 The specification characterizes the "present invention" as including the logical addressing limitation. Willful Infringement: While SeaChange relied on opinion of counsel, the Federal Circuit agreed it was defective and opened the door for willful infringement. "The record shows that at least one important technical document was not supplied to SeaChange's opinion counsel. Thus, 'the best information [was] intentionally not made available to counsel during the preparation of the opinion, [so that] the opinion can no longer serve its prophylactic purpose of negating a finding of willful infringement.'" JUDGE RADER: LIZARDTECH MAY "DOOM ANY HOPE" FOR CLARIFIED WRITTEN-DESCRIPTION TEST. Yesterday the Federal Circuit, in a close decision, denied Lizazrdtech's petition for rehearing en banc in the case of Lizardtech vs. Earth Resource Mapping (05-1062), where the Federal Circuit held that generically claiming a specific embodiment disclosed in the specification will render the claim invalid under 35 U.S.C. 112(1) for failing the written description requirement. In the majority decision (Lourie, Michel, Newman), it was stated that the caselaw was consistent on the requirements for fulfilling the written description rquirement, and that the statute clearly sets forth that "[t]he specification shall contain a written description of the invention, and of the manner and process of making and using it, in such full, clear, concise, and exact terms as to enable any person skilled in the art to which it pertains, or with which it is most nearly connected, to make and use the same." Whatever inconsistencies may exist in the application of the law lie in the different fact situations with which the courts are faced. Compliance with the written description requirement has been held to be a question of fact, so what constitutes an adequate written description depends on what is claimed and what is described. And, of course, claims may vary from the specification because they are usually amended during prosecution. However, in whatever form the claims are finally issued, they must be interpreted, in light of the written description, but not beyond it, because otherwise they would be interpreted to cover inventions or aspects of an invention that have not been disclosed. Claims are not necessarily limited to preferred embodiments, but, if there are no other embodiments, and no other disclosure, then they may be so limited. One does not receive entitlement to a period of exclusivity for what one has not disclosed to the public . . . But merely calling an embodiment "preferred," when there are no others, does not entitle one to claims broader than the disclosure. In Lizardtech, this court invalidates claims that are broader than the disclosed embodiments because "[t]here is no evidence that the specification contemplates a more generic way" of performing the claimed invention . . . Meanwhile, in JVW, this court determines that the claims are properly construed as broader than the disclosed embodiments because "the patentee did not intend for the claims and the embodiments disclosed in the specification to be coextensive" . . . In both cases, the claims encompass more than the specification expressly describes. In Lizardtech, this court says that a claim scope in excess of the specification’s embodiments invalidates the claim. In JVM, this court says that a claim scope in excess of the specification’s embodiments grants a broader range of infringement. The facts are very similar, the results are not. The second, and larger, problem is that the Lizardtech decision doesn't mix well with the Phillips decision which basically proposed that claims need not be commensurate in scope with the preferred embodiments, absent language suggesting otherwise. In fact, in Phillips itself, the court gave the broad claim term “baffle” a meaning beyond the narrower bullet-deflecting embodiments in the specification. Worse yet, Judge Rader submitted that the court provides no neutral standard for applying the written description doctrine. In repose to the majority's application of the written description doctrine, Rader dryly translated their analysis as "bring your specifications to the Federal Circuit and we will tell you if they contain sufficient descriptions . . . those explanations, majestic in their generality, explain nothing and certainly supply no standard for drafting a specification to comply with the written description invalidity doctrine. The illogic of the new written description test—measuring the sufficiency of a specification’s disclosure by weighing one part of the specification against another—may doom any hope of this court ever devising a neutral test or resolving the tension with Phillips." 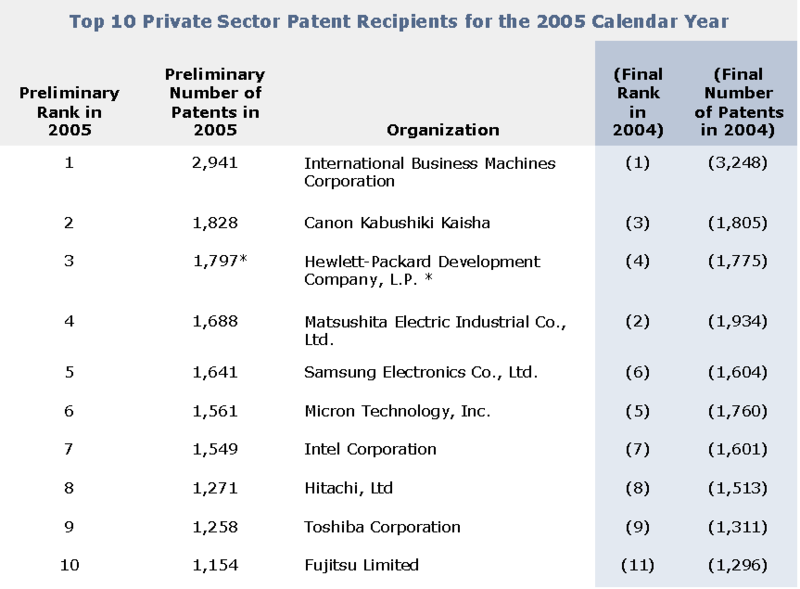 IN 2005, PATENT LITIGATION . . . DECREASED? It's true, according to LegalMetric, a litigation analysis firm located in St. Louis. In a recent press release, it was reported that the number of new patent infringement cases in the U.S. dropped in 2005 by over 10 percent. 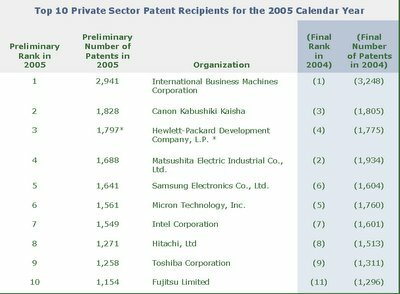 This drop is highly unusual, since, in each year from 1994 to 2004, the number of patent cases over the previous year have always increased. This drop seems to be specific to patent cases as well. For example, the number of trademark cases continued to increase from 2004 to 2005.
the number of patent cases filed in 2005 was over 200 fewer than expected, based upon trends from previous years. Possibly explaining the drop in newly filed patent litigation in 2005 was a decrease in newly issued patents of 13 percent. According to LegalMetric, a decrease in issued U.S. patents from year to year is also a rare event, since the number of patent applications continues to rise. For more information, contact Phil Meisinger (phil@legalmetric.com). - Only 2% of patent litigants over the last 5 years are "patent trolls;"
- The growth rate of patent litigation is less than other litigation areas, such as copyright, personal injury, bankruptcy, and labor. IF AT FIRST YOU DON'T SUCCEED . . . MICROSOFT TAKES A SECOND CRACK AT INVALIDATING THE EOLAS PATENT: On December 22, Microsoft submitted a second reexamination request with the USPTO, asking the Office to invalidate the '906 patent, and to put the brakes on the first reexamination request ordered by the USPTO commissioner in 2003. In the first reexamination proceeding, the USPTO indicated last September that the Eolas patent would stand, and that a reexamination certificate would be issued (the first reexamination proceeding can be viewed here). Now, Microsoft is claiming that Eolas "withheld" prior art references from the USPTO. Specifically, Microsoft submitted multiple publications that were made over the Internet via a "www-talk email distribution list," some of which were posted by inventors named in the '906 patent. During the first examination proceeding, Eolas successfully argued that the cited art did not render the patent obvious, because certain features (i.e., interactive processing of foreign-format data) were not expressly disclosed. However, Microsoft claims that the missing features were well-known in the art, and Eolas knew it as well. Specifically, Microsoft argued that the newly-cited publication directly addresses the "gaps" identified by the Examiner in the reexam. Moreover, the new publication actually "incorporates, responds to, and expands" on the prior art that was before the examiner. This publication was allegedly introduced during litigation, but was never submitted to the patent office by Eolas. Furthermore, Microsoft introduced another publication authored by two of the named inventors that "discussed at length" the subject matter of the '906 patent. This publication occurred more than 1 year prior to the filing of the '906 patent, and Microsoft asserts it invalidates the patent under 102(b). View the second reexamination request here. Side note: in February 2005, the USPTO changes the reexamination rules, stating that a second or subsequent request for reexamination will be ordered only if that old prior art raises a substantial new question of patentability which is different than that raised in the pending reexamination proceeding. If the old prior art cited (in the second or subsequent request) raises only the same issues that were raised to initiate the pending reexamination proceeding, the second or subsequent request will be denied (see notice here). SHOCKER: 99% OF CHINESE COMPANIES HAVE NEVER FILED FOR PATENT PROTECTION. According to People's Daily Online, a source from the State Intellectual Property Office of China (SIPO), has claimed that 99 percent of Chinese enterprises have never applied for patents, and 60 percent do not even have their own trademarks. Statistics from SIPO also have indicated that only 0.03 percent of Chinese enterprises have intellectual property protection on key technologies on which their businesses operate. While China ranks the third in foreign trade volume, patented high technologies contribute only 2 percent of its total foreign trade volume. USPTO MOVES TO CURB CONTINUATION PRACTICE AND FORCE APPLICANTS TO HELP STREAMLINE PATENT PROSECUTION: The USPTO recently announced a bold proposal to overhaul the patent examination process by sharply limiting an applicant's discretion to file continuations, and further requiring applicants to identify "representative claims" to the Office prior to examination. Each of these proposals will be discussed in more detail below. (1) The revised rules would require that second or subsequent continuation or continuation-in-part applications and second or subsequent requests for continued examination of an application include a showing as to why the amendment, argument, or evidence presented could not have been previously submitted. If an applicant cannot show why such matter was not previously submitted, the USPTO will not allow the continuation to claim priority to the original application. (2) When an applicant (or assignee) files multiple applications with the same effective filing date, a common inventor and overlapping disclosures, the Office will presume that the applications contain patentably indistinct claims. In such a situation, the applicant must either rebut this presumption by explaining to the satisfaction of the Director how the applications contain only patentably distinct claims, or submit the appropriate terminal disclaimers and explain to the satisfaction of the Director why two or more pending applications containing conflicting or patentably indistinct claims should be maintained. Why is the USPTO Doing This? There are two primary reasons. First, current continuation practice allows applicants to file unlimited continuations off of a single disclosure. As a result, the USPTO can never finally reject, or even allow, an application for patent. And when applicants file long strings of continuations from allowed applications, the effect of this is akin to the "submarine patents" of bygone days - defendants can feasibly be sued multiple times off of the same disclosure, and crafty applicants can tweak continuation claims to ensnare unsuspecting companies. Recent research conducted by legal scholars Mark Lemley and Kimberly Moore found that, while continuations are filed in 23% of all patent applications, patents based on continuation applications represent 52% of all litigated patents. The second reason is that continuation applications unnecessarily eat up USPTO resources. The Office claims that 30% of examiner time is spent reviewing continuation applications. Furthermore, the Office issued over 289,000 first Office actions on the merits in fiscal year 2005. According to the Office, "had there been no continued examination filings, the Office could have issued an action for every new application received in 2005 and reduced the backlog by issuing actions in 35,000 older cases. Instead, the Office's backlog grew because of the large number of continued examination filings." While the USPTO appreciates the necessity of filing continuations to further prosecution, the Office has statistically concluded that the "marginal" benefits provided by second or subsequent continuations are outweighed by the burden placed on the USPTO. The Office stressed that they are not attempting to set a per se limit on the number of continuing applications. Rather, the rule amendments simply require applicants to show that later-filed applications in a multiple-continuing chain are necessary to claim the invention and do not contain unnecessarily delayed evidence, arguments, or amendments. "The Rub" - unfortunately, the notice provides no guidance on what type of "showing" is needed to file a second or subsequent continuation. Is it sufficient to take a reissue-type approach by simply claiming that the applicant claimed less than he/she had a right to claim in the original application? What if you claimed that "subsequent to the Notice of Allowance, it has come to applicant's attention that certain types of products may be infringing the disclosure contained in application 10/999,999, but not literally claimed. Accordingly, applicant is submitting new claims that would encompass the potentially infringing products." Would that be sufficient? (1) The Office will provide an initial patentability examination to the claims designated by the applicant as representative claims. The representative claims will be all of the independent claims and the dependent claims that are expressly designated by the applicant for initial examination. Thus, each independent claim and each dependent claim that is designated for initial examination will be treated as a representative claim for examination purposes. The examination of the dependent claims that are not designated for initial examination will be deferred until the application is otherwise in condition for allowance. (2) If the number of representative claims is greater than ten, the Office will require the applicant to share the burden of examining the application by submitting an examination support document covering all of the representative claims. The examination support document must identify search reports or IDS documents, along with explanations regarding the utility and distinctness of the claimed subject matter in light of the prior art. Failure to provide a sufficient examination support document will delay examination of the application. According to the USPTO, applications which contain a large number of claims continue to absorb an inordinate amount of patent examining resources, claiming they are "extremely difficult to properly process and examine." After reviewing the patent filings in 2005, the USPTO found that about 1.2 percent of all nonprovisional applications included more than ten independent claims. Accordingly, by limiting examination to 10 representative claims, the thinking was that efficient examination of every independent claim could be had in 98.8 percent of the applications filed since January 1, 2005, without any additional effort by the applicant. "The Rub" - if they are filed without extra diligence, examination support documents can provide a sumptuous feast for opposing counsel during litigation. Without careful consideration of every word placed in the document, you could be filling the record with admissions and estoppel issues even before the first office action issues. COMMENTS TO THE USPTO are invited.